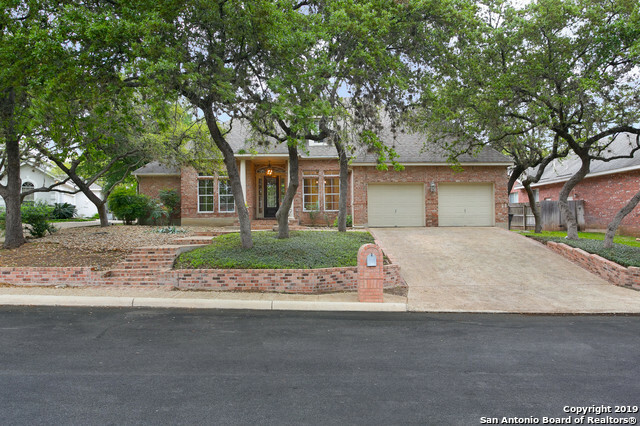 All THE FOUNTAINS AT DEE homes currently listed for sale in San Antonio as of 04/24/2019 are shown below. You can change the search criteria at any time by pressing the 'Change Search' button below. "Gorgeous 5 BRDM, 4.5 BA custom home located in the gated community of Fountains at Deerfield. Home features high ceiling*open & bright floor plan w/natural lightening*fully custom kitchen w/granite countertops, large island*SS appliance. Spacious master w/outdoor access*walk in closet*luxury mstbath*separate vanities*stand up shower*whirlpool tub*gameroom. Backyard oasis surrounded w/lush landscaping & custom sparking pool w/waterfall & spa. Additional space above garage can be used as guest/sto"